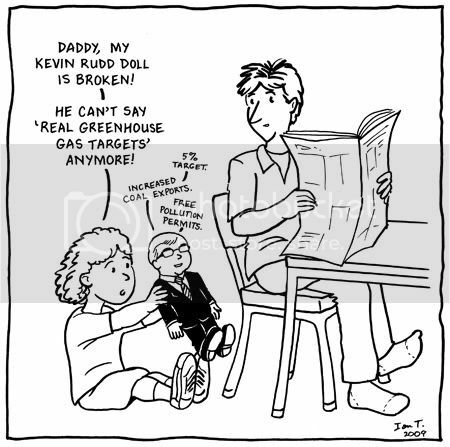 From the latest issue of Inkspot, Magazine of the Australian Cartoonists' Association, #59, on the theme of "Kevin Rudd." P.S. I think this seems a bit mean in retrospect, given the later truth of how Rudd was compromised on this issue by his own Party and pressure groups (not to mention let down by the Greens in the Senate), and his late shafting as Prime Minister.